Hello lovelies! It's Saturday again! Yay! 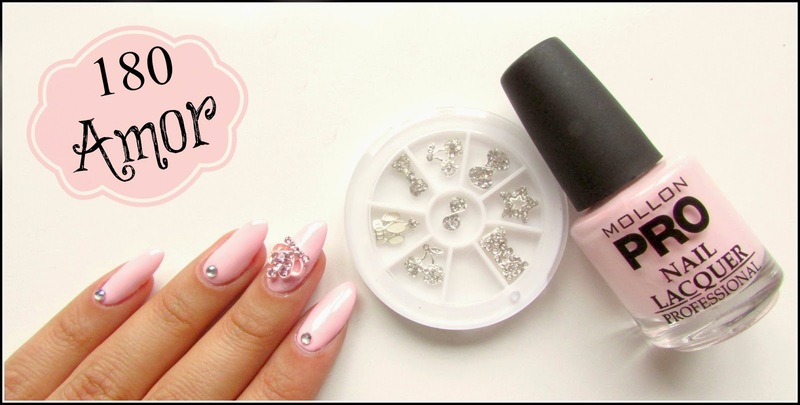 Today I have another nailart combo to show you! The last light shade from the Mollon Pro Spring Collection and one nail jewel from a set by bornprettystore. Hoje trago-vos mais um combo de nailart com a última cor clara da colecção Mollon Pro Primavera e um acessório/joia para unhas que veio num set da BornPrettyStore. A delight to apply. Mollon Pro Amor has a creamy formula that covers the nails in 2 coats. Dries super creammy and shiny. Uma delicia de aplicar, tipico dos vernizes Mollon Pro. A fórmula é muito cremosa e altamente pigmentada e cobre a unha em duas camadas. Seca num acabamento muito brilhante e cremoso. I glued the rhinestones with a bit of acrylic but you can do it with nail polish too! 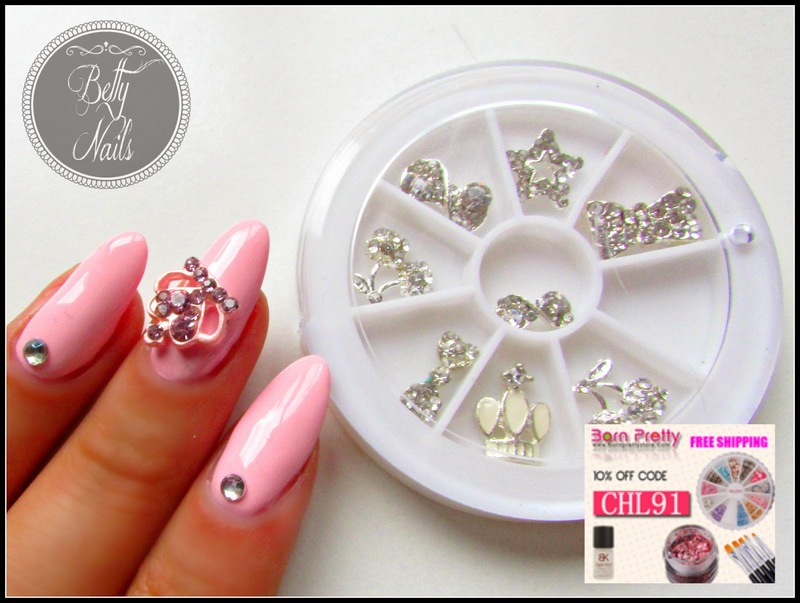 You can order this and other nail jewels here and use the blog cupon for 10% OFF with CHL91. Já sabem que podem adquirir as pecinhas aqui e com o código do blog CHL91 têm 10% Desconto!